Diamond Hotel Philippines is wrapping sweet gifts and savory platters that are perfect for the holiday table. The hotel is excited to offer new and familiar treats from luscious must-haves, party platters, holiday hampers to delightful sweet-tooth pleasers. Unbox the holiday cheer with Diamond Hotel’s Party Platters and choose from a delectable array of food choices for your Christmas feasts: the succulent Lechon de Leche, the juicy US Angus Beef Rib Eye, the all-time favorite Roasted Turkey, or the festive Homemade Bone in Leg Ham. All available for orders and delivery with a minimum purchase required. Delight in sweet Christmas confections as you find pleasure in Diamond Hotel’s famous cakes. Savor heavenly slices of the Supermoist Chocolate Cake, Le Royale, Baked Cheesecake and other scrumptious selections. The hotel’s sweet yuletide goodie catalogue includes melt-in-your-mouth assortment of cakes such as Coco Mango Cake, Earl Grey Raspberry Cake, Mont Blanc, Minced Pies, Carrot Cake, Cashew Mango Cake, Christmas Eclairs, Christmas Pralines and Truffles, Christmas Cookie, and more. Make the season merrier with the hotel’s bestsellers. Grab boxes of the hotel’s popular Christmas Macarons and Ube Ensaymadas for a medley of Christmas treats. Hotel gift certificates are also available for purchase. Surprise your loved ones with an overnight stay or a dinner for two at any of the hotel’s restaurants. 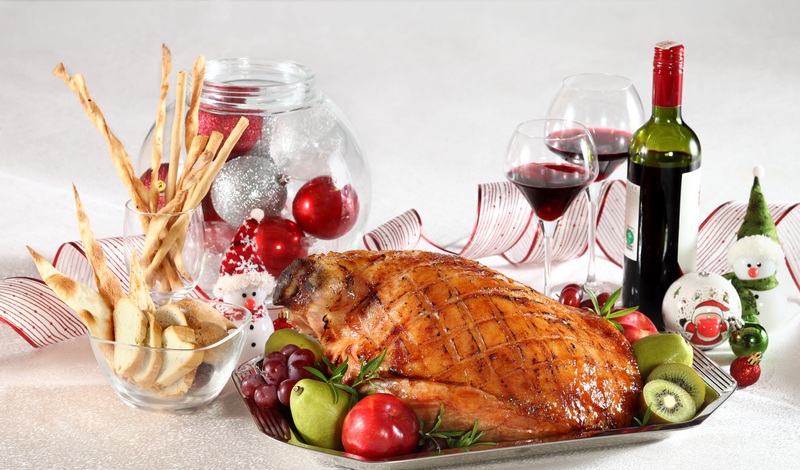 Diamond Hotel’s Christmas Hampers are also great presents loaded with gourmet indulgences. And if you want full Catering Services, Diamond Hotel’s chefs can also cook on location for your Christmas parties and events. To place an order for Christmas Goodies, Hampers, Party Platters or Gift Certificates, call Diamond Hotel at 528-3000 ext. 1121 or 1118 from 9am to 5pm, Mondays to Fridays; or e-mail restaurant_rsvn@diamondhotel.com. Orders must be placed at least 3 days before day of pick-up or delivery and 7 days prior to your event for the catering service. Payment is through cash or credit card. A minimum of Php10,000 net is required for free delivery to one address only. Deliveries cover Greater Metro Manila only and pick-up venue will be at the Christmas Lobby Counter of Diamond Hotel.